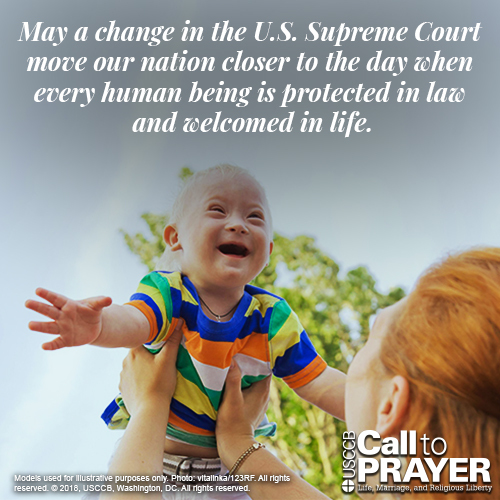 From Friday, August 3, 2018 to Friday, September 28, 2018, U.S. bishops are calling for a nine-week Novena for the Legal Protection of Human Life. In addition to the current invitation to fast on Fridays, participants are encouraged to pray one Our Father, Hail Mary, and Glory Be for the intention of the novena. Click here to sign up for weekly intentions and reminders. For more information and the full text of prayers, click here.